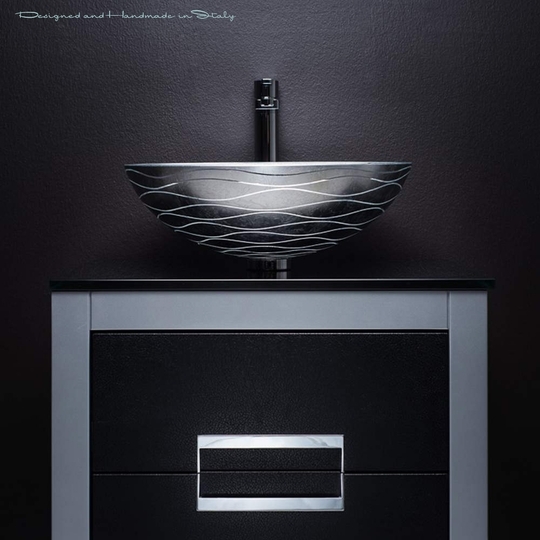 (1) Danya 24 Inch Silver Leather Modern Bathroom Vanity with Tempered Pre-Fabricated Reflective Glass Top (Black Color) - Unusually handsome and exceedingly graceful. 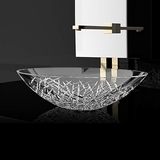 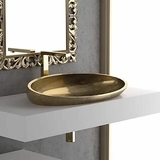 This luxury vanity displays sophistication of charm and unexplainable wisdom. This italian bathroom vanity is shown in silver/black finish, handmade in 24, 32 and 40 inch length. 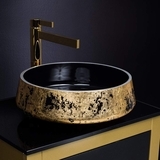 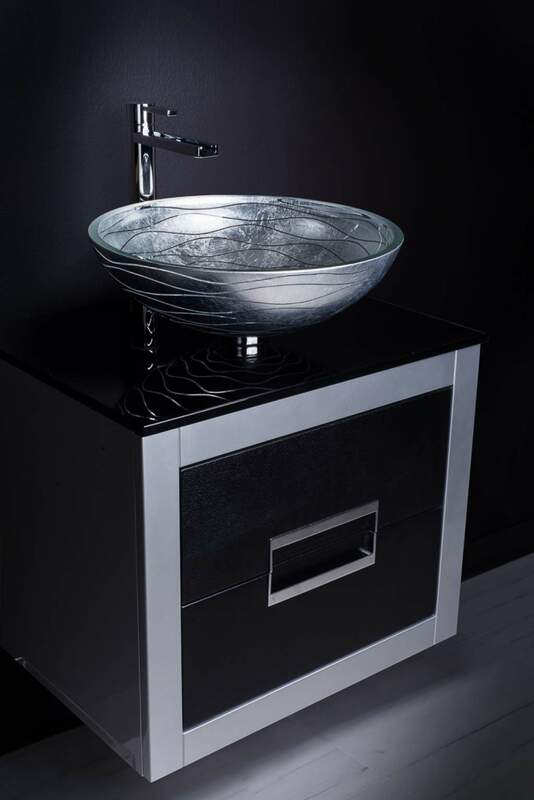 (2) VetroFreddo Wave Silver Luxury Vessel Sink - Mysterious and strikingly unique; the passage of light across this basin will create beautiful wavy patterns on the countertop underneath. 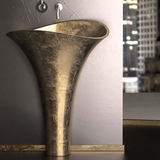 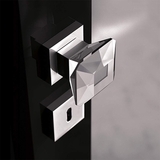 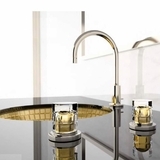 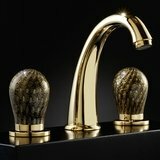 Combine that with the flow of water inside the sink and you will witness a designed artistic pleasure with every use.